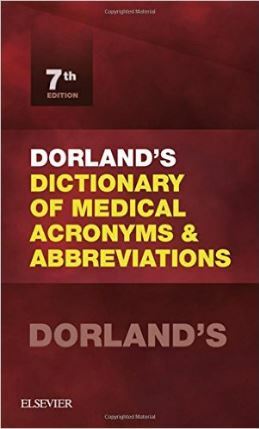 Understand and correctly use terminology in today’s ever-evolving medical fields with the new online edition of Dorland’s Illustrated Medical Dictionary! Provide Dorland's products to everyone at your organization. Make sure you are familiar with the very latest medical terms. More than 36,000 entries, a 32-page set of high-quality anatomical plates, and 257 full-color illustrations put dependable medical information at your fingertips. The handy portable 7th edition features many updates and a new section on abbreviations to avoid using.